Love how you captured what looks like a bit of a flare as they are about to land. Interesting how pilots do this as well right before touchdown for a smoother landing. Never seen it before in a photo of a bird landing. Very nicely done! Thank you Irene, especially for pointing out the similarity between human pilots and birds when they land! The ducks in flight are really amazing. Thank you Mabel! I was not sure the first shot was any good until I saw it at home on my computer. It’s not that I haven’t said it before Hien but your ‘bid in action’ photos are stunning. great photo from 1/500-1/1000 seconds of a fast landing. Still very sharp photo, masterly done! For that one the speed was 1/3200 sec as I had the camera on aperture priority. Glad you like the shot, Mohammad! Thank you for information about the speed. 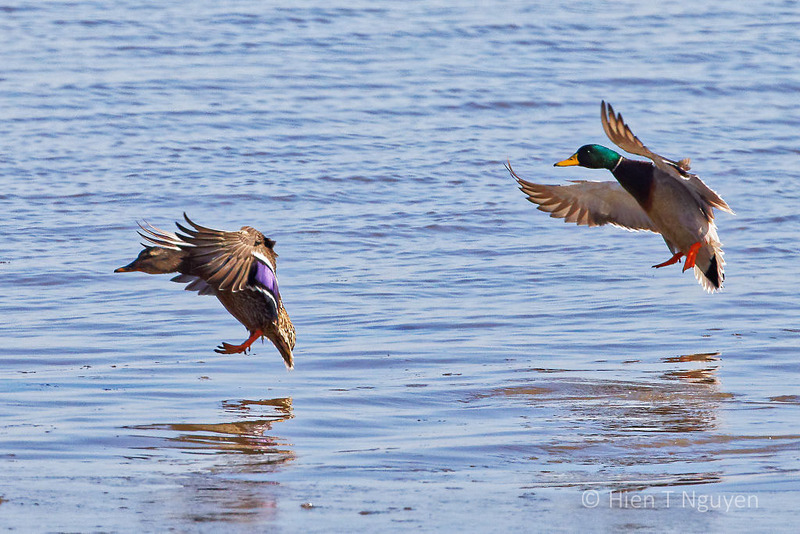 Wow, you captured all the wonderful colors of the mallards, beautiful landing shots, Hien! I imagine you sitting in a quiet spot while these actors brightened your day, Hien? Ha, ha … I was in my car in two different spots. 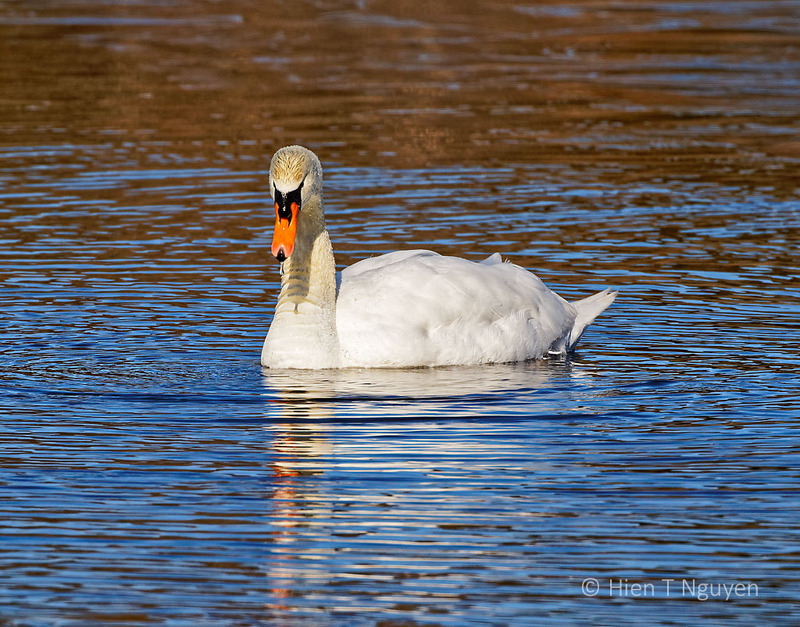 The swans were stately, and the Mallards just popped out of the blue sky! What beautiful purple color on the ducks backs! That purple is only seen when they are flying. Glad you like these two shots! Thank you! That’s harmony. How lucky you are to experience abd capture this.